It’s quite evident that I’ve had an obsession with the Korean culture lately. It all started with watching some very addicting Korean drama’s [K-Drama]. From then on my curiosity exploded & I found myself listening to k-pop music, enjoying delicious Korean food, using Korean beauty products [which I will also post about later], and even learning the language. It’s been a love affair for quite some time now, to the point where I’ve decided to travel and explore South Korea this coming October. I’m so excited for this trip, and have been counting down the days to October 11th! Living in southern California, I am lucky enough to have access to some great Korean restaurants in and around L.A. or Orange County. 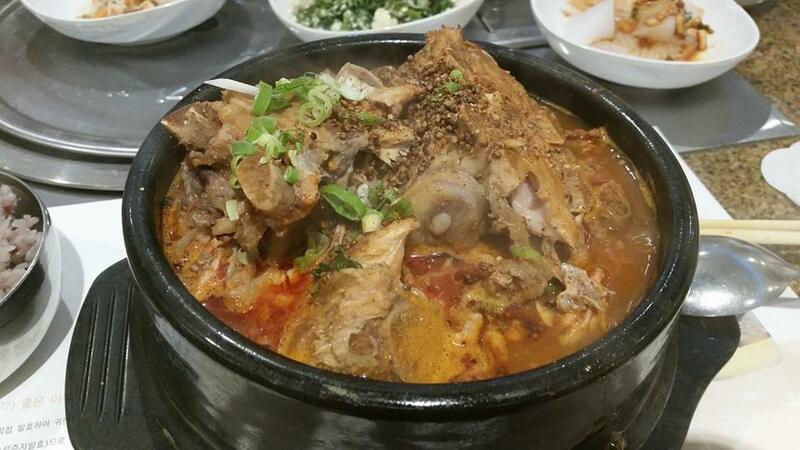 Gam Ja Tang: A pork bone soup that comes in a sizzling bowl. The spicy stew has meat just melts in your mouth, green onions, potatoes, and hot peppers. The picture below was a dish I enjoyed at one of the many great L.A. Korean restaurants. 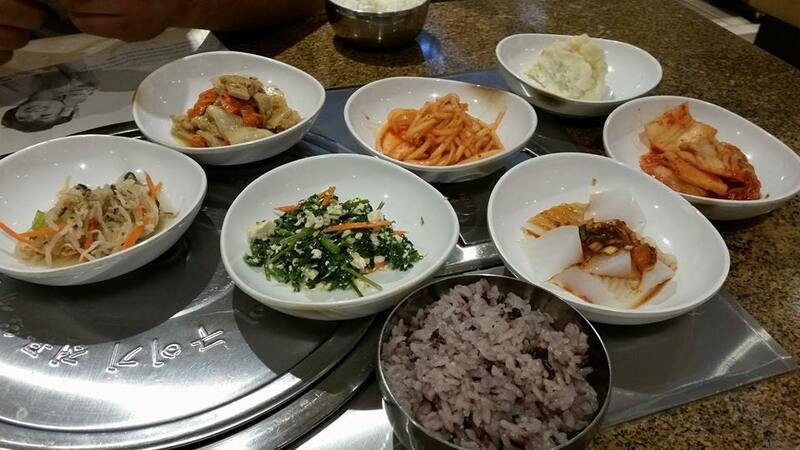 Banchan: This is the thing I LOVE most about Korean food. No matter what you order, you get a small army of side dishes to go along with your main meal…all for free. There’s usually rice, kimchi, mung bean sprouts, cheongpomuk muchim (mung bean jelly cake), etc. For a girl who loves to have a variety [but not necessarily able to eat huge portions], banchan is perfect. Yukgaejang: A shredded beef soup thats simmered with spices, onion, bean sprouts, etc. Besides the super delicious Korean BBQ, I wanted to show some other dishes that I’ve loved. A lot of people tend to try the Korean BBQ first, but definitely explore the menu on your 2nd, 3rd, or 4th visit to a Korean restaurant! And for those who haven’t experienced Korean BBQ yet…..you’re missing out! Kim Soo Hyun! Good looking & a great actor. What a combo. I haven’t seen Let’s Eat yet, but really……any Kdrama I watch I inevitably get hungry, They’re always showing great Koren food or a piping hot bowl of ramen noodles being devoured. Let’s eat is very different to you from the stars, almost more like a comedy. But the food scenes are just…well as you write…hungry making!